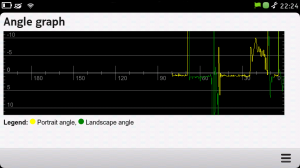 AngleGraph is a angle visualisation application for the Harmattan (Maemo 6/MeeGo) based mobile phone N9 (N950). It is written in Python and QML. 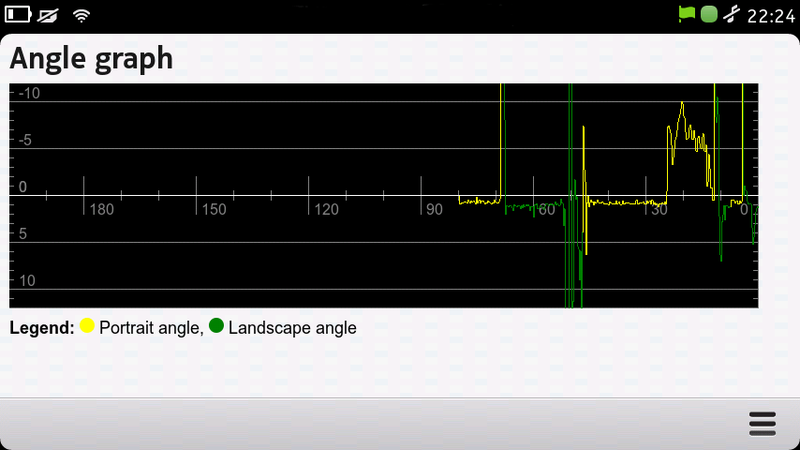 This application shows the angle in a graph. It works in landscape as well as in portrait mode. To use it, put your phone onto the table in landscape or portrait mode. Tilt it slowly to the left or right side. I wrote it mainly as an example application fo learn the interactions between Python and QML together with QPainter.